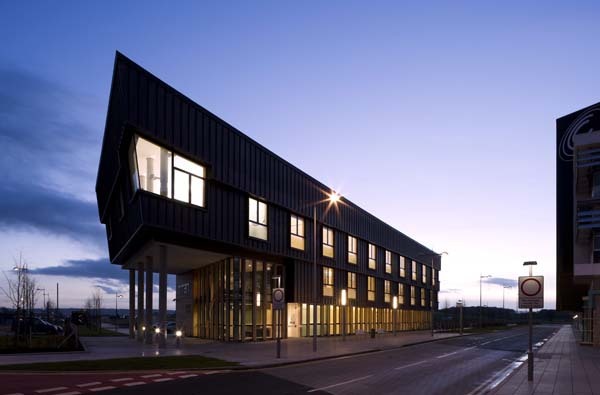 The Titan Enterprise Centre in Clydebank has recently been completed by Page Park. 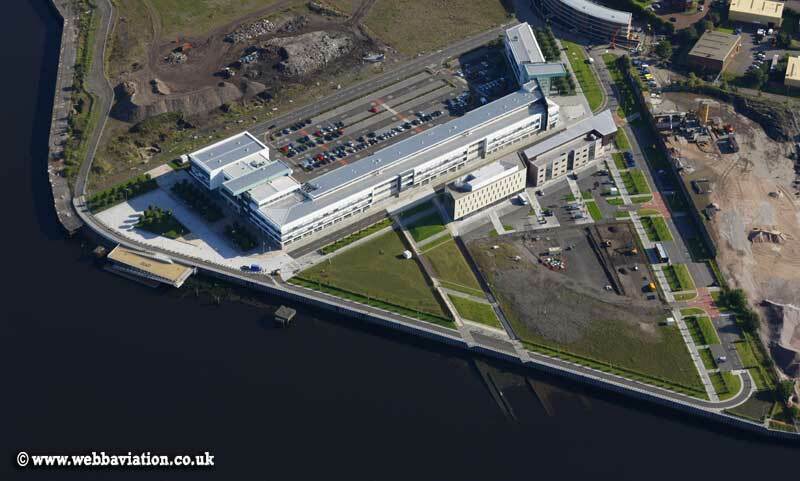 The 2,250 sq m project sits on the site of the former John Brown Shipyard at Queens Quays in Clydebank. 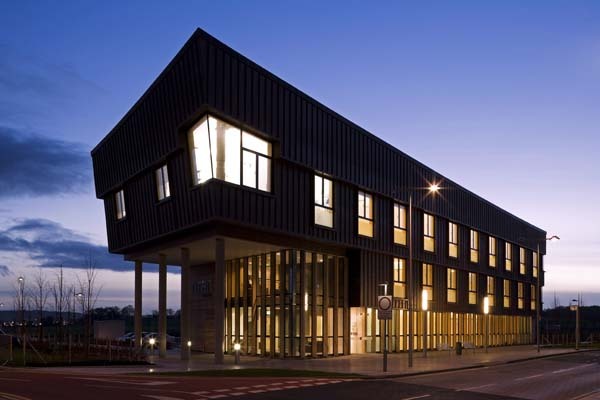 The urban regeneration company Clydebank Rebuilt Ltd appointed Page Park to design a three and a half storey building that would provide 31 individual turnkey office suites to let as business start-up units together with a reception space, lounge areas, service and meeting rooms. 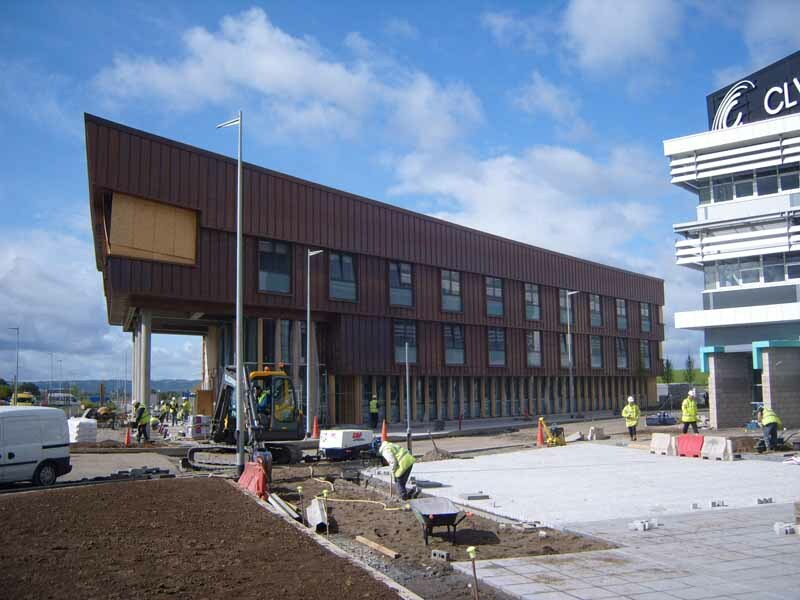 Page Park was commissioned by Clydebank Rebuilt Ltd in 2003 to develop a masterplan for the regeneration of the 80 acre brownfield development site adjacent the river Clyde, and the Titan Enterprise Centre is the second project to be completed in accordance with this masterplan. The remaining site area will be developed in phases by both public and private development bodies. 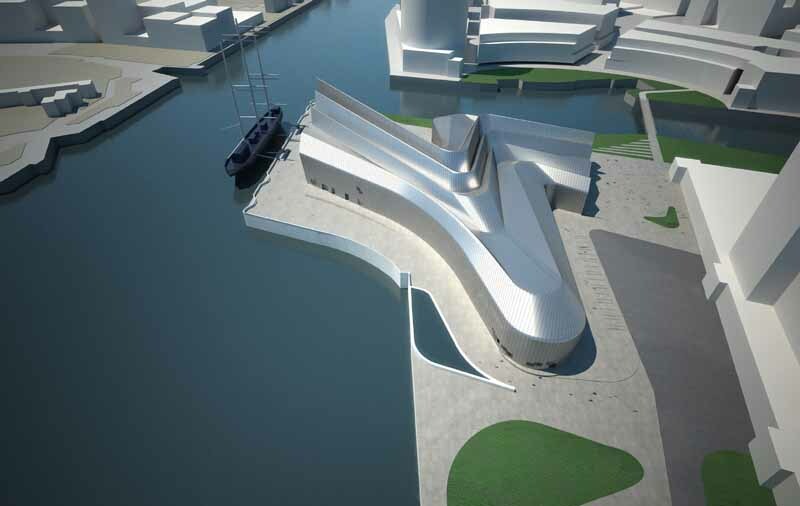 Page Park designed the building to reflect the ship building legacy of the site in both form and materials. The northern section of the building is clad in copper; flaring cantilevered steps in the slabs at each level evoke a form reminiscent of a ships hull. This is reinforced by the roofline which rises above along the length of the elevation into a prow at the eastern end of the building. The copper hull is seemingly supported on timber columns, as ships in construction would have been supported prior to their launch. The reference to ship building is continued in the interior of the building. The design of the stair cores, utilising industrial chequer plate and exposed steel members, reflects the aesthetic of a ships engine room. 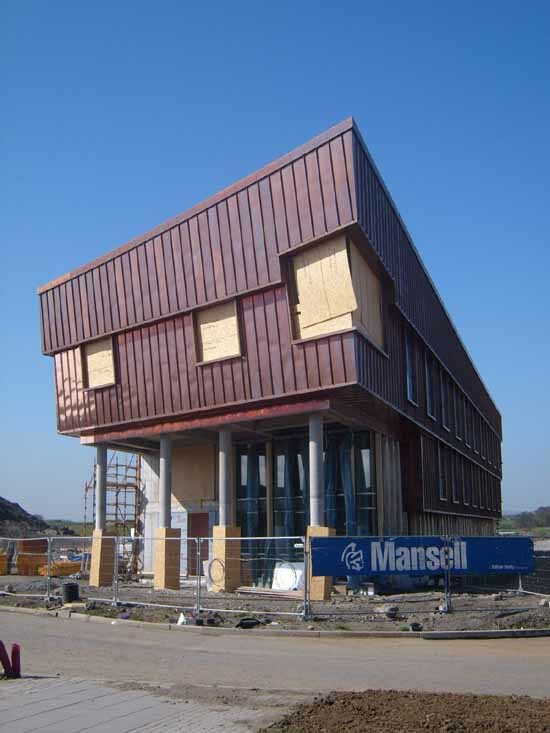 This theme is followed through to the southern part of the building where timber cladding expresses the materials used in a ships fit-out. An environmental engineering strategy for the project has ensured that the building is “low tech”. Air conditioning is only applied to two ground floor meeting rooms. 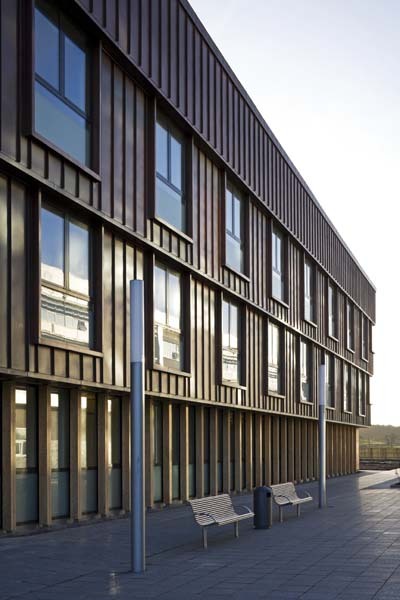 Mechanical extract is provided to the office suites (as proximity to Glasgow airport limits the use of open windows for natural ventilation) and wet system heating (trench & low level radiators) have been installed. 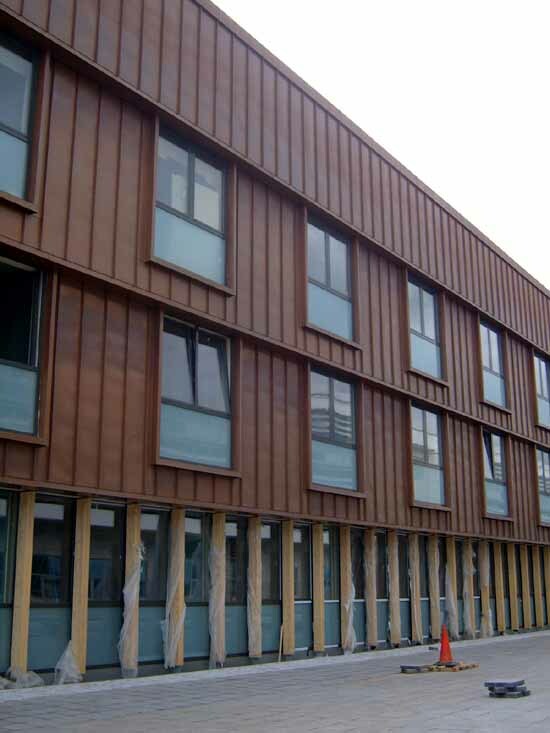 The office suites have exposed concrete soffits providing thermal mass for the building and highly insulated timber frame infill panels completed the building envelope. 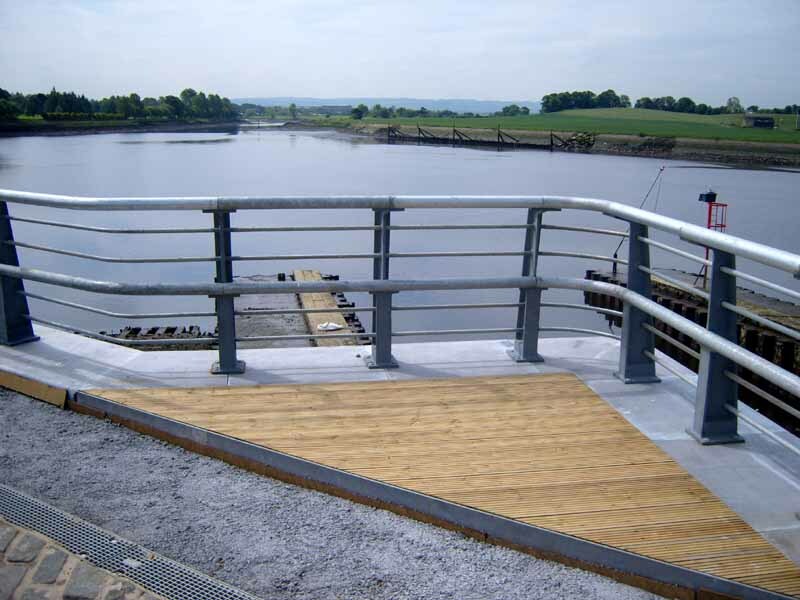 The project started on site in June 2006 and was recently completed within budget. 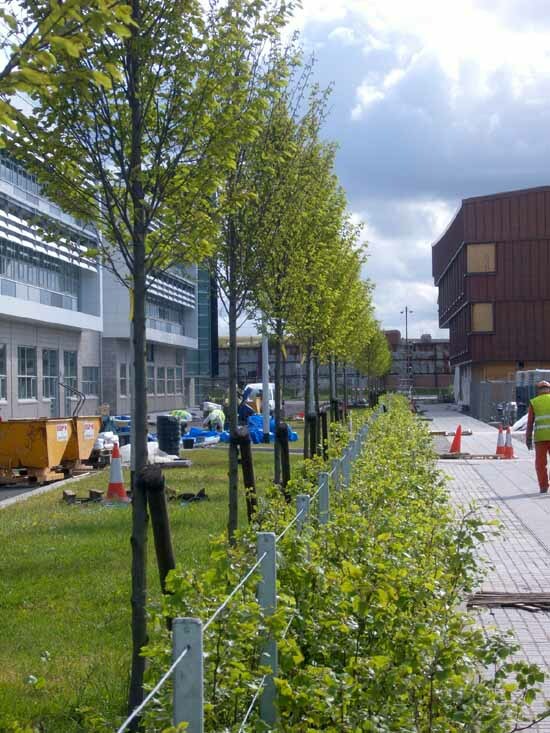 Page Park is a thriving Glasgow based practice of 35 staff working across a number of sectors including public building, conservation, education, housing and commercial projects. The practice has a reputation for thoughtful and dynamic design responding to what are often challenging and sensitive contexts. A concern for the future of the environment is refl ected in a thorough understanding of human relationships and aspirations in building design through to appropriate models for the shaping and development of the urban landscape. 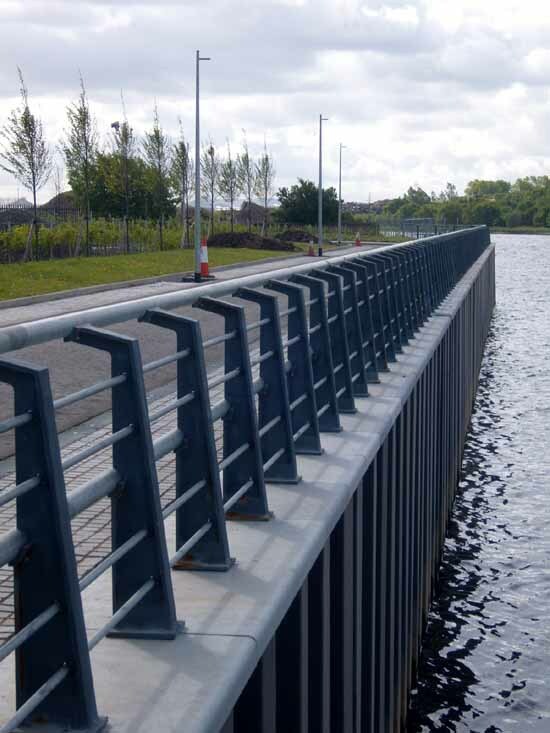 Clydebank Rebuilt is an organisation dedicated to developing the area – its economy, environment, buildings and society. 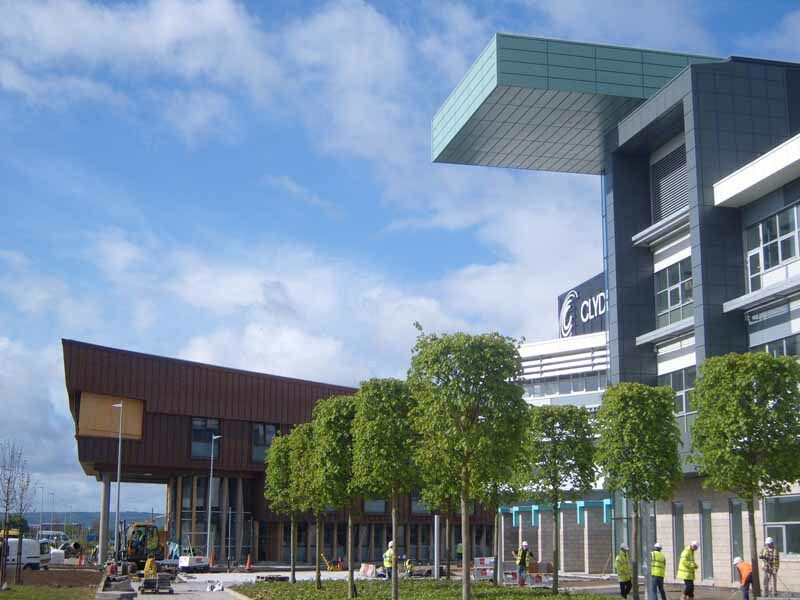 Clydebank Re-built is itself a partnership – formed by West Dunbartonshire Council and Scottish Enterprise Dunbartonshire. It has been designated a pathfi nder regeneration company by the Scottish Government, one of only five in Scotland. Together with European funding, all these agencies are making a financial contribution to the regeneration of Clydebank.